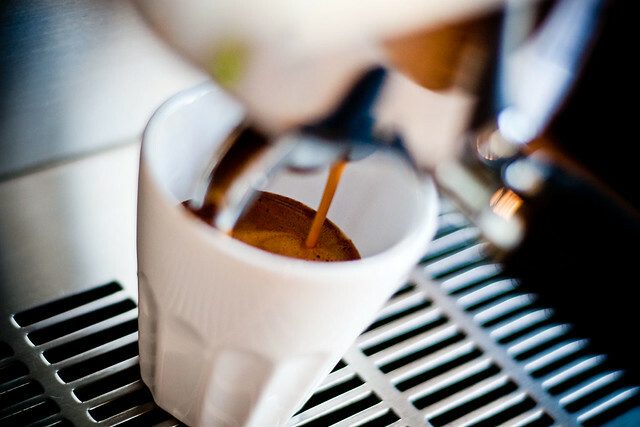 There are many epiphanies that first, second, and third—time visitors have upon arrival in Italy, but perhaps one of the most life-changing of these is Italian coffee...espresso and its derivatives. You may find yourself barely able to stomach the insipid, candy-sweet, or tongue-curling bitter joe you have more or less enjoyed your whole life after tasting the coffee perfection that Italians serve up with matter-of-fact nonchalance across the country. It’s no surprise that Italy has achieved the highest excellence in coffee, given that they’ve had centuries to work on it. The coffee bean was introduced in Venice by Islamic traders in the 16th century, and since that time the cult of coffee has become one of the most fundamental traits of Italian culture in general. Whether you are a dinner guest in a private home and finish your meal with an espresso poured from the humble but iconic stovetop Bialetti percolator that no Italian kitchen is without, or belly up to the crowded bar on any Italian street corner and are served a tiny splash of espresso topped with that rich caramel-covered froth (crema) that only the steaming café machines can turn out, you are in for a treat. Tweetable: Don’t want to commit a coffee faux-pas in Italy? Take a look at our guide to the most common coffee drinks! For those who really want to put hair on their chest, a ristretto is an even more concentrated version of an espresso, and the portion is literally 1-2 sips. Literally an American coffee, this really has nothing to do with the Mr. Coffee swill you may be imagining. This is almost always simply un caffè watered down, so the flavor is reminiscent of espresso but not as strong. There is a strange double standard to ordering a caffè americano in Italy: if you’re Italian, it’s taken in stride. If you’re American, you may get a raised eyebrow. 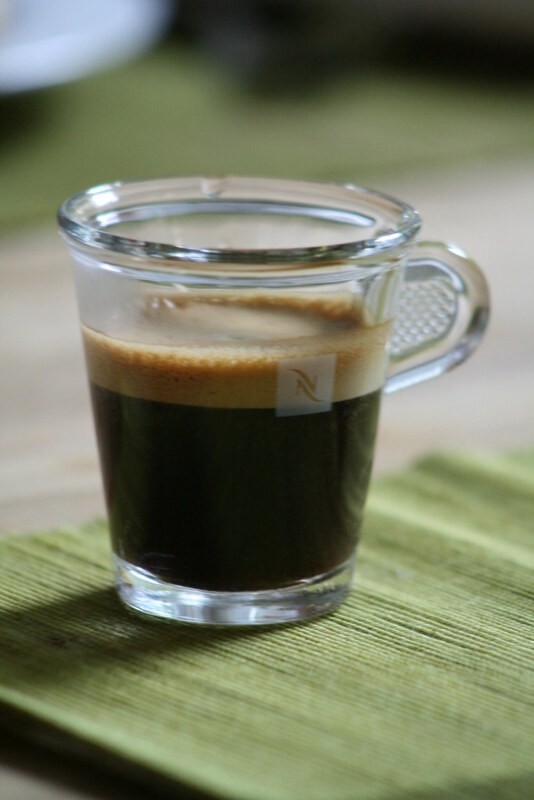 If one thimble-full doesn’t get your heart racing enough, you can opt for a doppio or a double portion. A real doppio is two espressi made separately and then poured into one cup together, though some bars shortcut and just let the brew stream out until two portions fill the same cup. This actually results in a lungo, and can often have a bitter aftertaste. To be safe, you may just want to order an espresso, down it, then order a second. Italy does have decaf, which they generally refer to as “caffè Hag”, Hag being the brand name of the largest decaf coffee maker in Italy and infinitely easier to pronounce. If you want a decaf espresso, just ordering “un caffè Hag” will suffice. If you’d like another coffee drink, you generally order the drink, and then specify the decaf. So, for example, “un cappuccino con caffè Hag”. This after-meal, “corrected” espresso is served with a splash of liqueur, most often anise-flavored sambuca, grappa, whiskey, or cognac. Much has been said about the taboo of indulging in a cappuccino during any time of the day outside of breakfast, and that rule holds (with the possible exception of a mid-afternoon cappuccino on a cold winter day, which some Italians drink as a “merenda”, or snack). If a straight espresso is too much for you, but you don’t want to commit the coffee faux-pas of a 2 p.m. cappuccino, there are two options that span the middle ground. This is an espresso topped with a heaping spoon of frothed milk, enough to temper the espresso flavor a bit, but not enough to count as a cappuccino and earn you embarrassing stares. This can be ordered throughout the day. This is a bit of a mini-cappuccino spiked with chocolate. An espresso is topped with enough milk and foam to fill a glass cup—bigger than an espresso cup but smaller than a cappuccino cup—and then either sprinkled with cocoa powder or drizzled with chocolate syrup. Pretty, sweet, flavorful, and perfectly fine from morning through to after dinner. Tweetable: Need something with a little less kick than a straight espresso? Try a marocchino! This is a large glass cup of steamed milk cut with a shot of espresso. The least potent of Italy’s coffee drinks, this is considered the only way to stomach milk (which Italians over the age of about 5 do not drink straight). The line between latte macchiato and caffè latte is often blurred, but a caffè latte has less milk and more espresso...resulting in a mix more or less reminiscent of cappuccino, but without the foam. The mother of all coffee/milk alchemy, cappuccino is a cup of steamed milk cut with an espresso and topped with a thick foam. These proportions are set in stone Italy, so there is no asking of how many shots one desires. You get one. What do you get when you layer gianduja (a thick chocolate-hazelnut sauce, sometimes substituted by Nutella), espresso, and a huge dollop whipped cream in a tall glass? Something unspeakably delicious that can only be found in Turin and environs. One of our favorite stops in Rome is “The Golden Cup”, or La Tazza d’Oro, for an icy refreshing granita, or espresso shaved ice with alternating layers of thick whipped cream. Cool, sweet, invigorating, and a Roman tradition. Take an espresso, some sugar, sometimes whipping cream, sometimes a bit of milk, sometimes a dollop of chocolate syrup, sometimes a scoop of gelato, put it into a martini shaker with ice, shake it up until it’s cold, frothy, and sweet, and pour it out. Every bar seems to have its version, and they are all perfect for hot summer days. Though you can find this treat across Italy, the relatively new fad is easier to come across in the cosmopolitan cities than the rustic village bars. Tweetable: Italy has a number of regional coffee specialties. No visit to Turin is complete without a Bicerin.